Forget the "x" style or round table base that always get in the way of your chair when you pull up to a table. Give everyone more room with the "Kee" table base kit! this kit includes a 36" square mahogany 1" thick laminate table top and 4 black "Kee" post table legs. 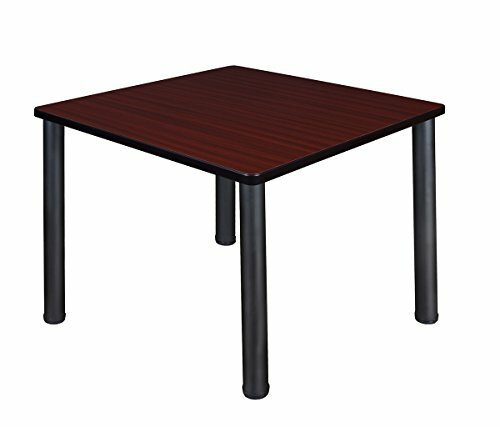 The legs are adjustable so you have a steady table with no wobble and assembly is a snap with just a few screws.